Posted on November 13, 2015	by Rachel L.
When winter rolls in, it brings a host of new hazards to the workplace. 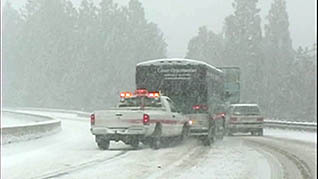 Cold temperatures, snow and ice make life a little more dangerous during the winter months. When the temperatures start to drop and you work outdoors certain precautions need to be taken to avoid cold stress-related illnesses, such as hypothermia, frost bite and trench foot. It is important to keep in mind that safety is key when working outside, even when it doesn’t seem very cold out. In fact, cold and wet weather can have negative effects on the body at temperatures as warm as 59 degrees Fahrenheit. 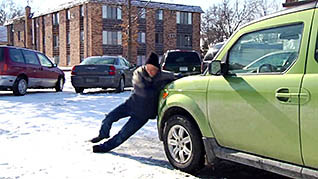 Walking in winter weather isn’t so wonderful if you take a fall because of icy parking lots or sidewalks. It is important to take extra precautions by wearing appropriate footwear when ice and snow starts to cover the ground. Business owners should be certain rugs and floor mats are used in entry ways, and salt is used on sidewalks and in parking lots. You must remember getting behind the wheel in the winter months requires some extra preparation and focus. 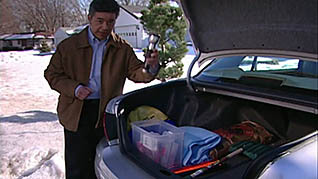 It is smart to keep a shovel, blanket, and other supplies in your vehicle in case you get stranded or stuck in the snow. Check the conditions of your tires before you hit the road. You should be aware of the safe driving techniques for driving in bad weather, which help you prevent your vehicle from slipping, sliding and skidding across the road. 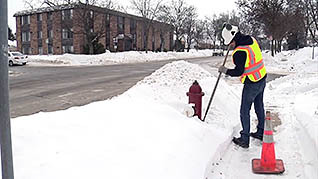 Training can be a great tool to help provide a refresher on winter safety tips. Mastery offers a selection of courses to help teach employees the safety practices for dealing with cold stress, winter walking, and driving in bad weather. This entry was posted in Workplace Health and Safety and tagged employee development, Winter, winter driving, winter safety. Bookmark the permalink.